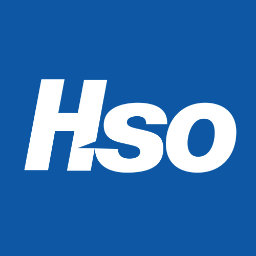 HSO delivers flexible, comprehensive business solutions for your needs today and your vision tomorrow. What Microsoft Dynamics 365 Resellers solution do you use? Merit Solutions is a global Microsoft Dynamics AX Consultant and Mobile Solutions developer offering services for evaluating, implementing, extending, mobilizing, and supporting Microsoft Dynamics AX. Dynamics 365 Business Central is an all-in-one business management solution that's easy to use and adapt, helping you connect your business and make smarter decisions. Encore Business Solutions has been committed to helping organizations drive business efficiency with innovative and modern business management solutions since 1990. Dynamics 365 will include Dynamics 365 Financials for Business, a comprehensive accounting and business management solution for SMBs. That offering is currently in preview in the US and Canada. With the launch of the Business edition of Dynamics 365 in the Spring of 2017, Microsoft is making a commitment to focus on the specific CRM needs of SMBs. In Spring, Microsoft shall launch Sales and Marketing applications for the Business edition. Sysfore would continue to work on the Dynamics 365 platform to add more features and capabilities to bring an industry focused solution set, which could be implemented in a shorter timeframe for its customers. Navicon has been working in IT consulting and project management since 2002. Queue Associates is a Microsoft Gold Certified Partner and a full service information technology consulting firm. Sysco provides business software solutions, such as Enterprise Resource Planning (ERP), Customer Relationship Management (CRM), financial management, business intelligence and credit management solutions to medium and large organisations across various sectors. * We monitor all HSO reviews to prevent fraudulent reviews and keep review quality high. We do not post reviews by company employees or direct competitors. Validated reviews require the user to submit a screenshot of the product containing their user ID, in order to verify a user is an actual user of the product. Hi there! Are you looking to implement a solution like HSO?